Think Strawberries, the Jordan Tourism Board Representative office in India along with the Embassy of Jordan in India recognized actor Ssumier Pasricha for his outstanding contribution towards promoting Jordan Tourism through his iconic series 'Pammi Aunty' in India. The series of six videos were shot in Jordan to promote tourism and went viral in India upon release garnering a collective reach of over 1.75 million views. H.E. 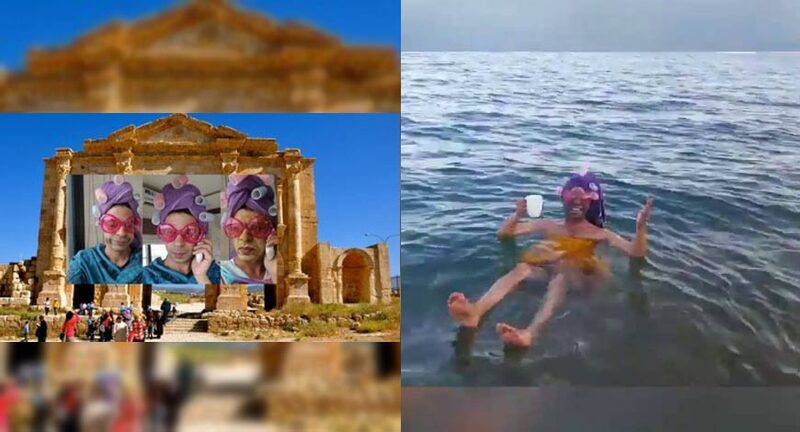 Hasan Al Jawarneh, the Jordanian Ambassador to India, commented, "We are delighted by the numbers generated through the broadcast of these tourism video series on Jordan which went viral on the Indian social media. We wish Ssumier the best in all his future endeavors." According to recent figures released, visitor arrivals to Jordan has witnessed an increase of 18.40% in 2016. "Due to a combination of aggressive marketing, sales, PR & Media activities, the numbers are positive and will continue to grow in 2017 as well," said Ashit Taneja, Country Manager, Jordan Tourism Board Representative office in India. On this occasion, Ssumier Pasricha spoke about his experience in Jordan, "Visa on arrival, superb food, cosmopolitan culture and diversity makes Jordan a fantastic destination for the Indian traveler. I had a wonderful trip and a superb time filming my video series in Jordan. I am very honored to receive this recognition from Think Strawberries, the Jordan Tourism Board Representative office in India and Embassy of Jordan in India."